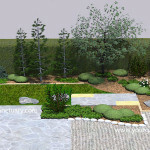 Today, we will finish up our 5 part small backyard Japanese garden design. We will add a tsukubai, ornaments, and a few more plants. Finally, we will see how this design could look if built. Here is how we left our design. You can click on the images to make them larger. You then need to click “Back” in your web browser to return here. Now lets finally add that water feature I promised in the 1st post. We could have built a pond, stream, waterfall, or pondless waterfall, but those would have taken a bit of space and expense. Instead, we are opting for a simple tsukubai or water basin. A tsukubai with a piece of bamboo and a hidden pump supplying water to the stone water basin. 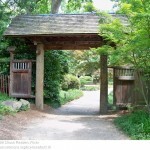 A tsukubai is a contribution of the traditional tea ceremony to the Japanese garden design repertoire. Guests to tea houses were supposed to enter the tea room pure in mind and body. The garden was provided to relax the mind and a tsukabai for washing the hands. Tsukubai are typically low and flat to encourage humility in guests by requiring them to bend down. 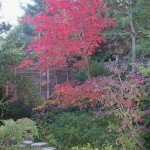 Since in our garden this is more for visual interest, I have shown it taller to enhance it’s visibility from the house. Traditional or not, either would work. It should be made of stone in some form. The water basin looks a little sparse alone. We will alleviate this by adding ferns around it as well as in the landscape bed closer to the house. This will help to tie the two areas together. One fern we could use is Lady fern (Athyrium filix-femina). Lady fern takes quite a bit of sun as long as it receives adequate moisture. Another couple that would work are Cinnamon fern (Osmunda cinnamomea) or Christmas fern (Polystichum acrostichoides). 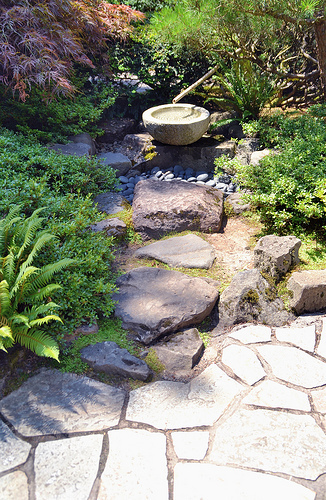 Ferns are used to soften the Tsukubai water basin area and the stones used as a base surrounding it. They are also scattered about to tie the different parts of the garden together. 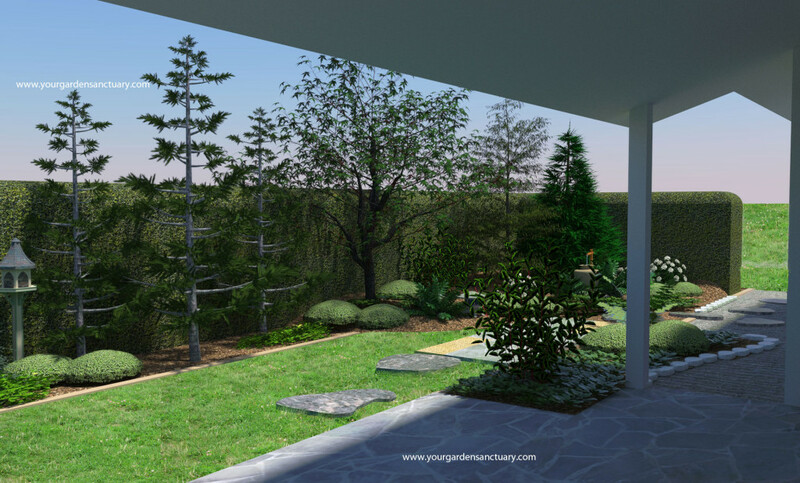 The last element we will add to our garden design are a couple of “ornaments”. The first being a stone Japanese garden lantern which we will add along with a fern in front of the Japanese maple. This lantern with the fern next to it is similar to the tsukubai with the ferns around it. The ferns will make these two elements seem visually connected. Next we will add will be a bird feeder on a stand. 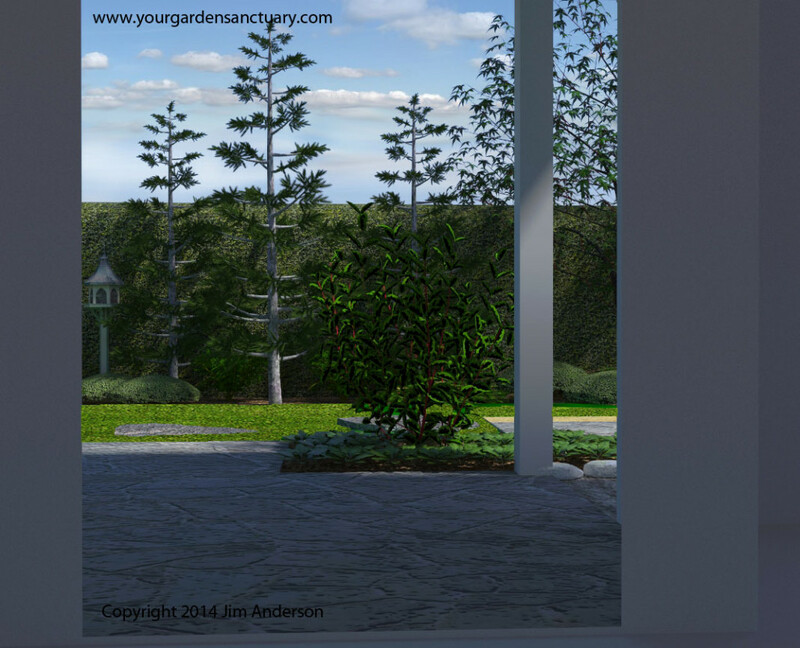 This will help to attract birds and bring the garden scene to life when looking out upon it from the house. 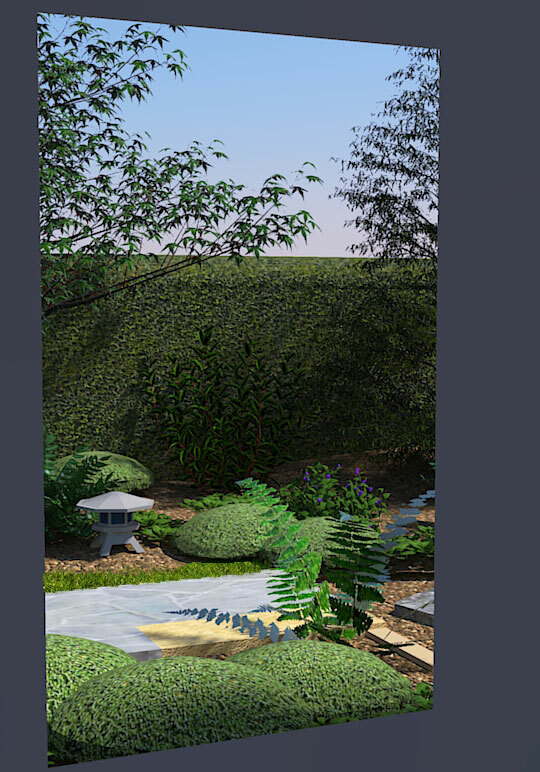 The stone lantern added in front of the Japanese maple and the bird feeder located in front of the hedge provide more visual interest through out the four seasons for viewers of the garden from the house or the patio. Now lets see how this design would look from different views. View from the patio area. View of stone lantern from a living room window. This one uses Blue False Indigo. This looks like it’s going to be a fantastic addition to your yard. Do you mind me asking what materials you use for your models? Or is it all CG? If so, I’d love to know what program you are using. Garden organization would be so much easier if I could use a program to make plans that detailed. They are all computer generated. The design is done in AutoCad, converted to 3D in Sketchup and rendered using Shaderlight (if I remember right), and touched up in Photoshop CS5. 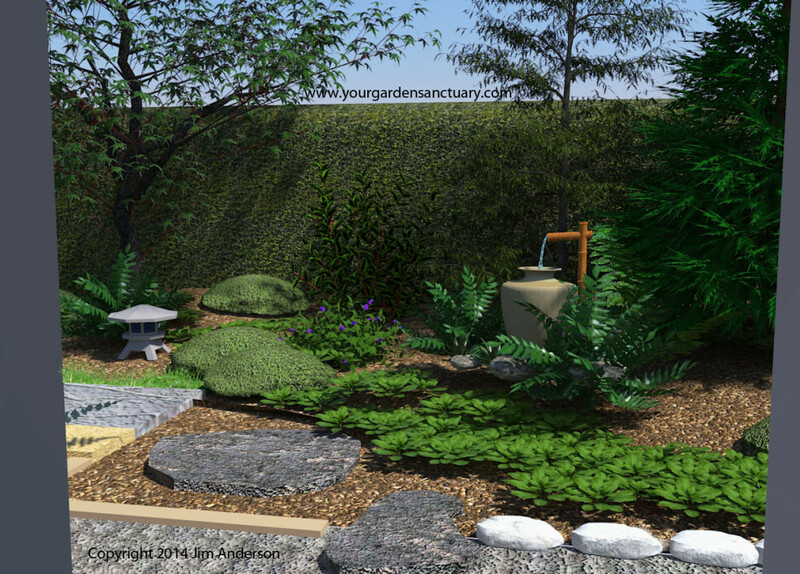 What a beautiful way to create a sanctuary in a small backyard. 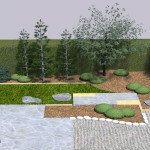 We’re exploring the idea of doing something similar with our back yard and enjoying the process as much as the result. Great series of article. This has inspired me to start planning a garden in my own backyard. I am starting the plans tonight ! Absolutely brilliant. I love that you started from nothing and took us through the whole process. Thank you for this post….this was exactly the kind of guidance and inspiration I was looking for! Thanks. I am glad you found it helpful. Islands may additionally be planted with flowering shrubs.